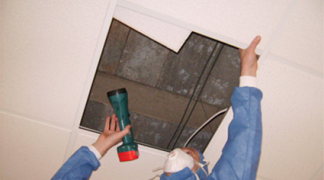 Asbestos, a category 1 human carcinogen, is subject to a specific set of Regulations, CAR 2006. These regulations cover work with with asbestos, prohibitions on the importation, supply and use of asbestos, and licensing of asbestos-removal activites. Regulation 4 of CAR 2006 contains explicit duty on the owners and occupiers of non-domestic premises, who have maintenance and repair responsibilties, to assess and manage the risks from the presence of asbestos. The risk assessment will be used to produce a management plan which details and records what actions to take to manage and reduce the risks from asbestos. (ii) oberves the applicable provisions of these regulations. In summary duty holders and employers have legal obligations to identify and assess the location and condition of any potential asbestos containing materials (ACMs) within their premises.